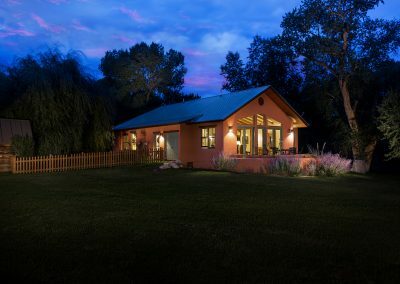 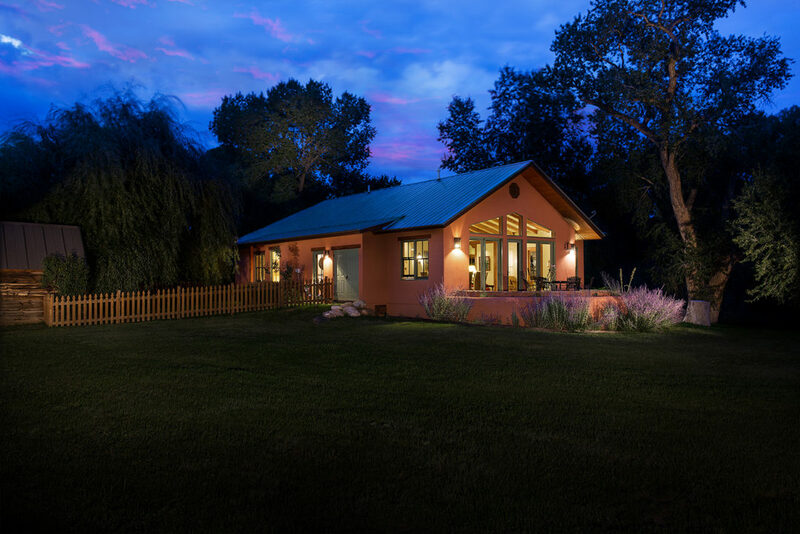 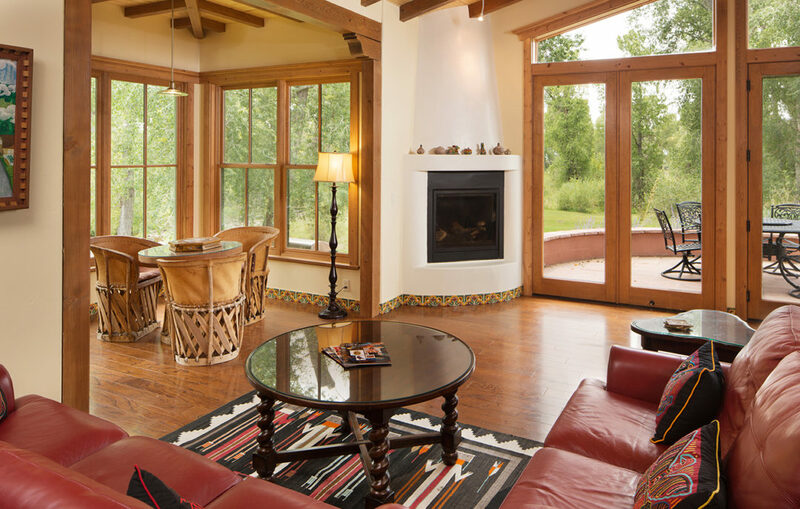 Built in 2012, this large adobe home is Blue Lake Ranch’s premiere rental and provides guests with all of the comforts of home and heights of luxury for which Blue Lake Ranch is renowned. 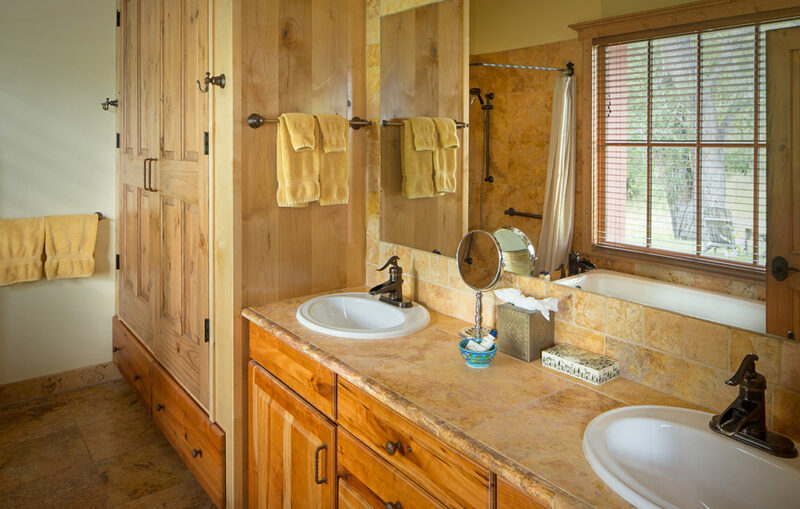 With attention to detail at every turn, the River House is truly a showpiece. 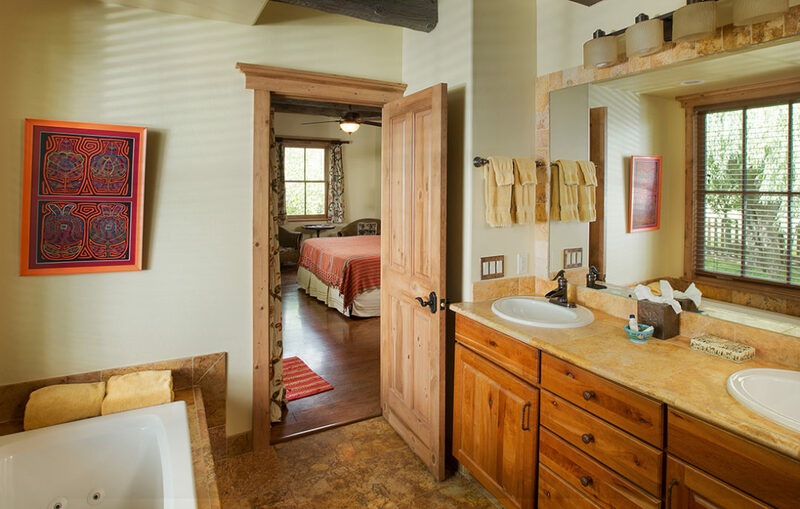 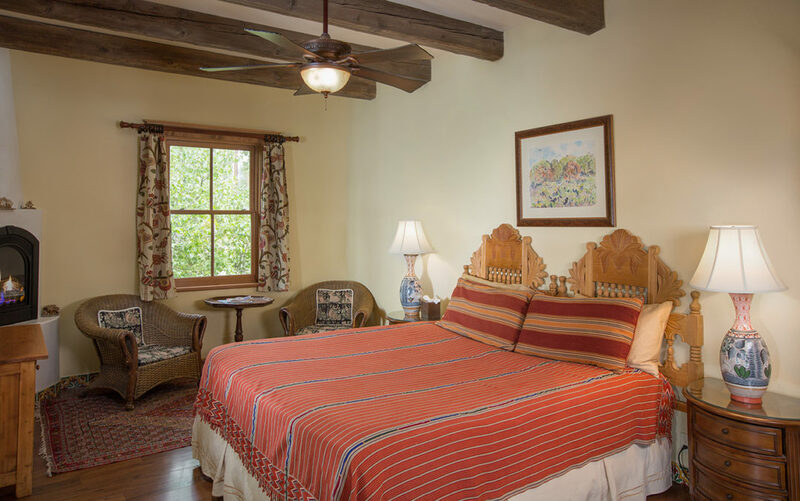 You are welcomed by hand crafted hard wood floors and local Southwestern artwork. 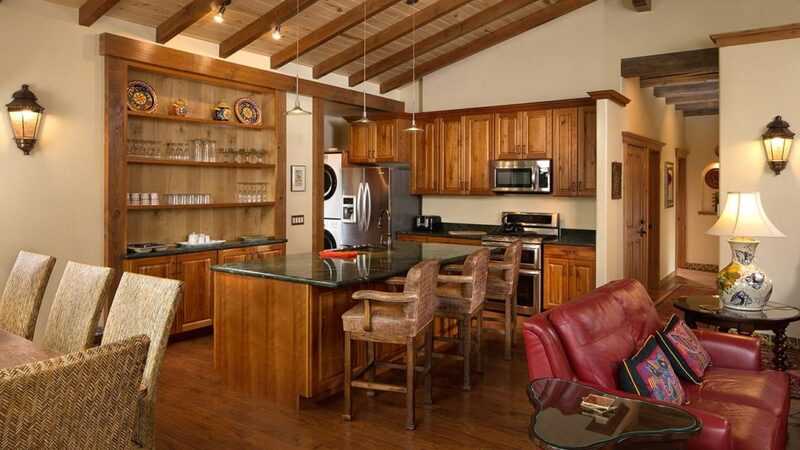 The gourmet kitchen is complete with Italian marble countertops, stainless steel appliances, and everything you would need to create a family feast. 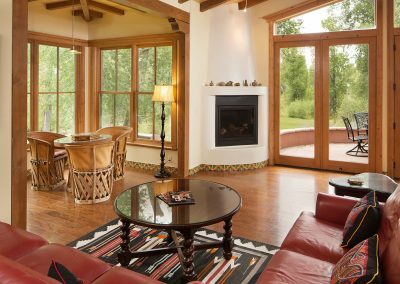 Curl up in front of the adobe fireplace in the spacious great room and take in the spectacular views of the La Plata River and the landscaped gardens. The cozy attached reading nook features a day bed that can be converted into a king bed for extra guests. 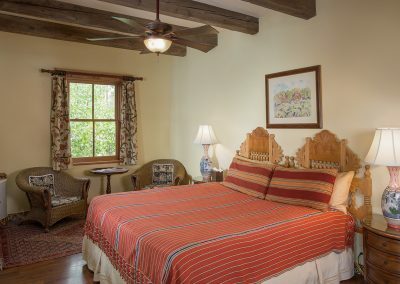 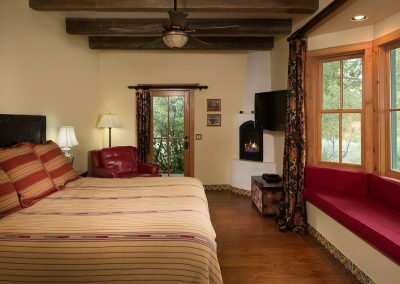 The two spacious king master bedrooms feature romantic adobe style fireplaces with plush pillow top mattresses and luxurious linens. 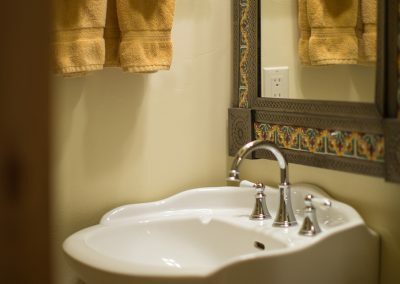 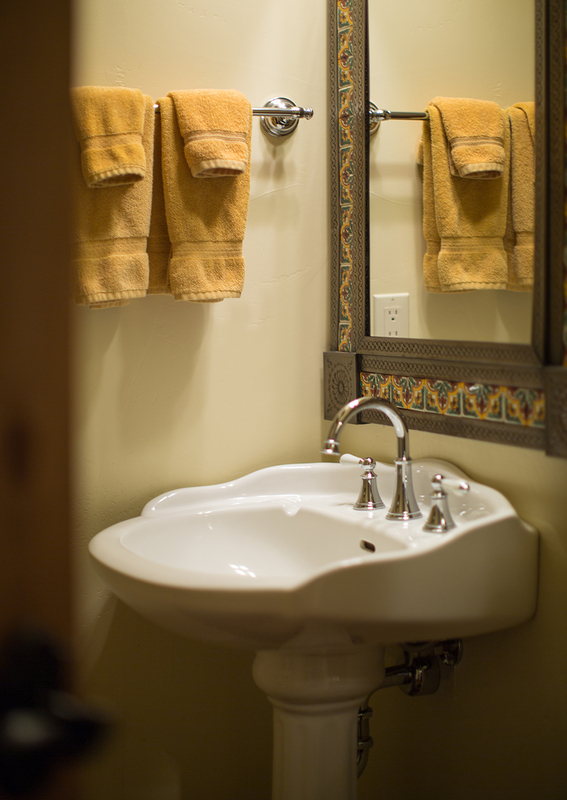 The ensuite bathrooms are complete with heated tile floors, large jetted tubs and tiled walk-in showers. 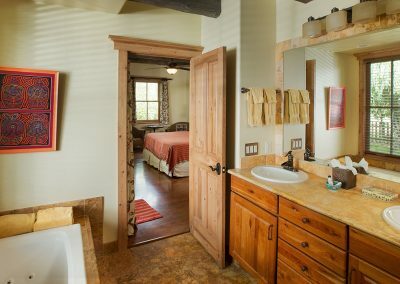 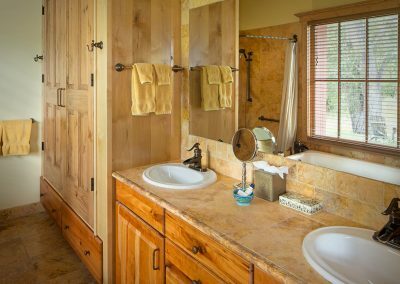 Designed with longer stays in mind, guests will enjoy the spacious floor plan of the River House with added features like handcrafted cedar closets. 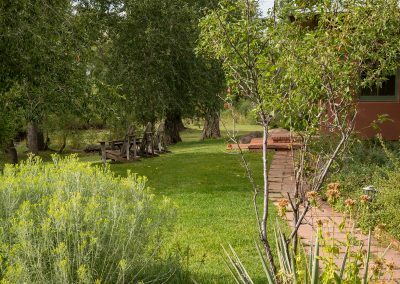 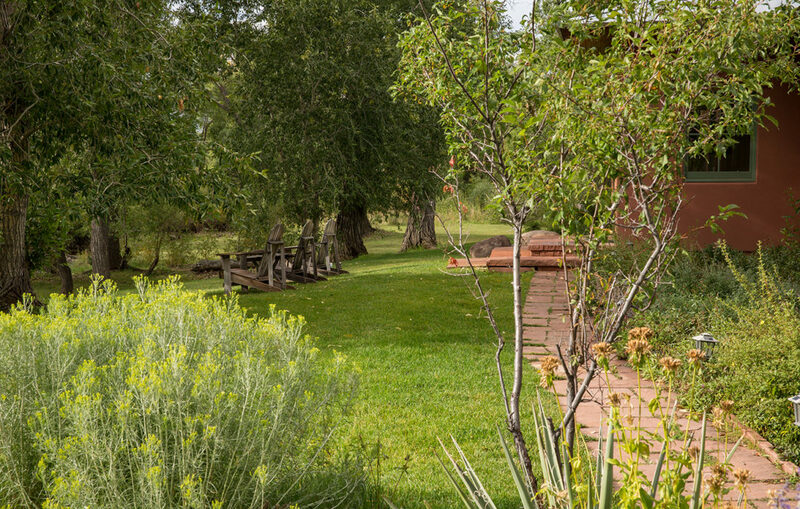 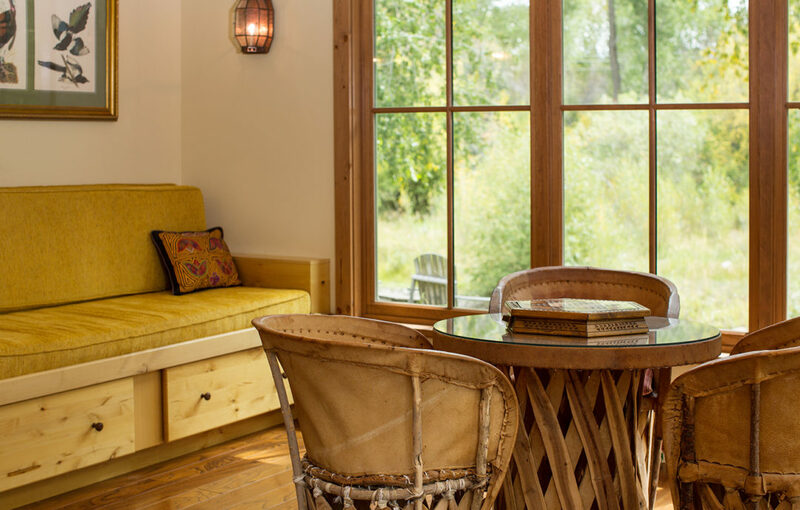 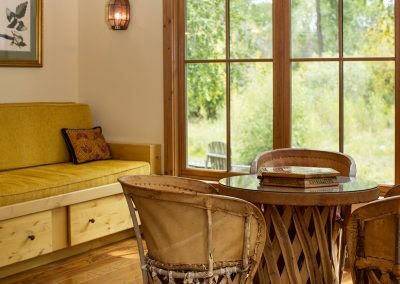 Situated on 80 acres, the River House is one mile from the Ranch House affording guests all the privacy of their own Colorado mountain vacation retreat.